As a New Media MA student I am interested in data visualisation, online journalism, open data and the debates about privacy and the way governments try to find ways to deal with the internet. My ultimate goal is to find a way to put my knowledge to good use in broader society, to use online media to inform, empower, enable or connect people. Martin Cooper with the first commercial cell phone, released in 1983. 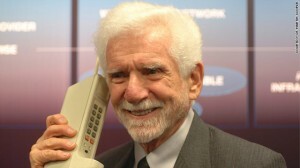 A lot has happened since the first call from a mobile phone has been made by Martin Cooper 1973 from a Motorola phone. Since then the market has been ruled by big multinationals, always looking for new ways to entice the consumer. The implementation of area-wide mobile networks in the beginning of the 90s has certainly boosted the market. Nokia, Motorola or Samsung were designing various and diverse phones, long before an iPhone was even imaginable. In recent years companies like Apple, Google and Blackberry have each tried to create the ultimate smartphone. In the ‘mobile phone war’ that has been going on consumers have been tempted again and again with, supposedly, must-have and life changing devices. The last year, however, has not kept its promise of innovation. Apple introduced an iPhone that The New Yorker’s Matt Buchanan called ‘wonderfully mundane‘. Marcus Wohlsen of Wired Magazine bluntly posits that ‘mobile innovation is over’ now that Blackberry has gone private and paradigm shifts like Steve Jobs’ famous ‘one more thing’ announcements belong to the past. Have mobile devices become boring, as Wohlsen argues? No, actually. Or at least they might not. 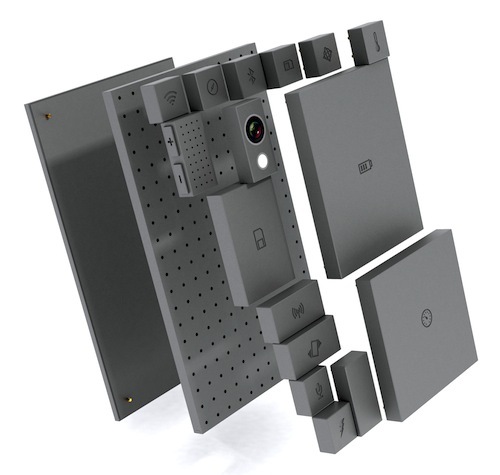 Phonebloks is proposing a radically different approach to the mobile phone market. Why do we buy a new phone every two years? An example like the queues in front of Apple Stores the night before a new iPhone is released tell us that consumers have repeatedly shown their allegiance to companies when they innovate their old design. At the end of his article, Wohlsen proposes we are like hamsters impatiently waiting for the new. Smartphones as we know them were introduced in 2007 by Apple’s first iPhone. The few big companies that have dominated the field in the past 6 years have been competing to create the newest and most enticing device. With the help of big budget marketing departments, they always kept society’s desire for something new going. We all know the feeling of the old phone that immediately looks old compared to the new one. Additionally, it is almost expected nowadays that mobile devices are designed to last only a couple of years. It is usually a single part that wreaks havoc and makes the repair or upgrade impossible. As mentioned above, the innovation in smartphones seems to have slowed down or, according to some, completely stopped. Phonebloks however shows that perhaps it’s just the direction the innovation has taken that has been used up. Phonebloks is not so much introducing us to new features as enhancing our ability to modify and personalize. It is giving us agency, freedom, and transparency that we never received from any of the big corporations before. Instead of just offering novelty, it presents us with sustainable quality. Nielsen, an information and media company, has done a study of what people are looking for when purchasing a smart phone. Looking at the results the majority wants a good quality for the money spent. But there is more to it than just that, as Steve Cheney, a top independent tech blogger, in an interview on Forbes.com suggests: “People are unique and like to stylize how they act and what they wear. And I think you are starting to really see that in the smartphone market”. As it has just been broached above, Phonebloks is actually offering the intersection of quality and novelty. Like Steven Cheney points out, people are looking for a phone that suits their personality. But What Actually is Phonebloks? What Dave Hakkens and his team at the Phonebloks are working on is a new kind of phone, or at least an idea, that combines novelty, quality and sustainability. The Phoneblok consists of a base and several detachable blocks. These blocks connect to the base and the base connects everything together through electrical signals. Thus, if a block breaks or if it is getting non-functional, it is now easy to replace or upgrade it with a new one spending money only for that exact piece. An app-like store for hardware, the Blokstore, is also open to users, wherein one can buy, read reviews as well as sell old bloks. There is a big variety of products developed by different brands, big and small. That means that customization is finally within reach. Since Phonebloks is not yet released in their physical form, the company established a “Show the world we want a phone worth keeping!” Thunderclap that people can join in order to support the movement. 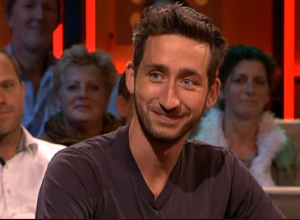 “We feel transparency and openness could change how we experience and think about a lot of things. By enabling collaboration we can focus on working towards a better world. The IT industry showed that openness can contribute to this. The impact and influence of Phonebloks.com is hard to predict up front, up until now it has been incredibly well received. We know that standardising a platform like this is not a simple task. From a technological, economical and social point of view, it is a real challenge. It will require for a paradigm shift; a new way of thinking”. Yarow, Jay. “Chart of the Day: What People Want In A Mobile Device”. Business Insider. 2013. Retrieved on October 5 2013. <http://www.businessinsider.com/chart-of-the-day-criteria-for-buying-a-smartphone-2013-2>. « From Geo to Neo: Can NeoCities Provide a Creative Utopia for Contemporary Web Culture?